For many years, European flatland contests were all about the jam circles. I just came across this edit from Flatground 2 that conveys that perfectly, featuring Raphael Chiquet, Alex Jumelin, Frank Lucas, Martti Kuoppa, and Eno Yang. Really enjoyed this one! Great edit from the Bike Days contest by Frank Lucas, featuring Alex Jumelin, Masato Ito, Matthias Dandois, Jean William Prevost, Thomas Noyer and a bunch of random clips in between for good measure. Good times in Solothurn, Switzerland! David Hoffmann sent in this awesome agoride edit from the BMX Masters 2006, I’m not sure if I posted this before or not. Nevertheless, this is certainly worth a rewatch! One of the most important events on the flatland contest calendar, that retains a certain aura year to year when I’m there. Hit play for amazing combos from the likes of Viki Gomez, Martti Kuoppa, Matthias Dandois, Adam Kun, Seppl, Justin Miller (Kickflip backpacker line at 2:28 into his hitch kickflip backpacker! 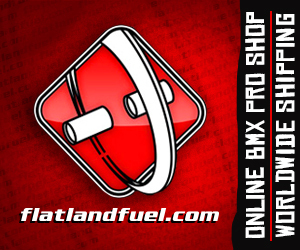 ), Chris Bohm, Bram Verhallen (lookout for his Xft 360 Kickflip hitch at 1:34! ), Frank Lucas, Kotaro Tanaka, Wolfgang Sauter and Keelan Phillips. This weeks Throwback kindly sent in by Mike S! We got back to 2008, and the Carhartt Video series – Visit My Town Step 2 : Vienna. Killer riding from the likes of Alexis Desolneux, Sebastian Grubinger, Frank Lucas, Michael Sommer and James Smith, enjoy! This weeks throwback from We The People’s ETC video, circa 2004, and the Frank Lucas section! If you havent seen this before, enjoy!